Self-drive or transfers from Maun Airport of approximately 312km. 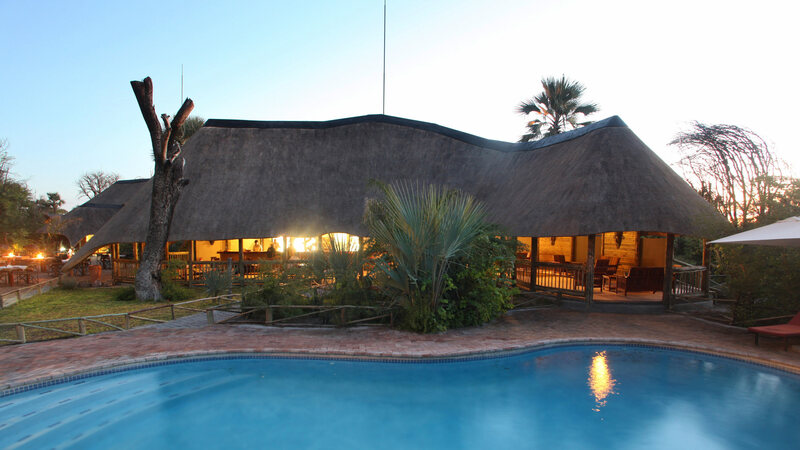 Nata Lodge is well located, approximately 10km from Nata on the main Nata-Francistown road. The best time to visit the Nata depends on the kind of experience you’re looking for. 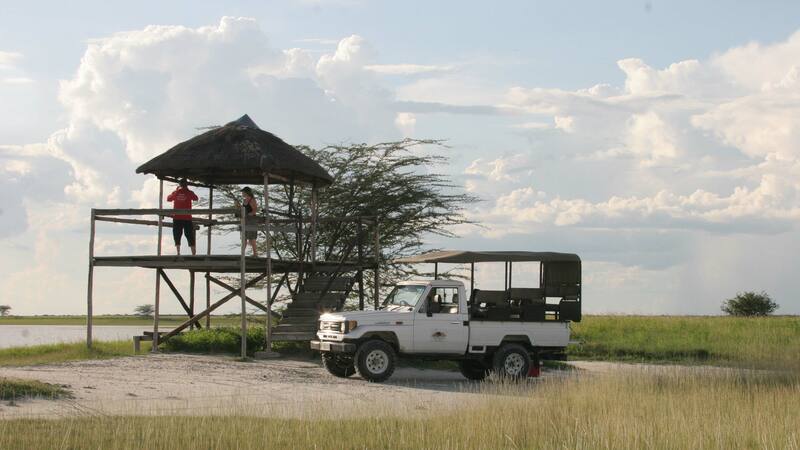 The Makgadikgadi Pan itself is only accessible during the dry season; from around July to mid-October. 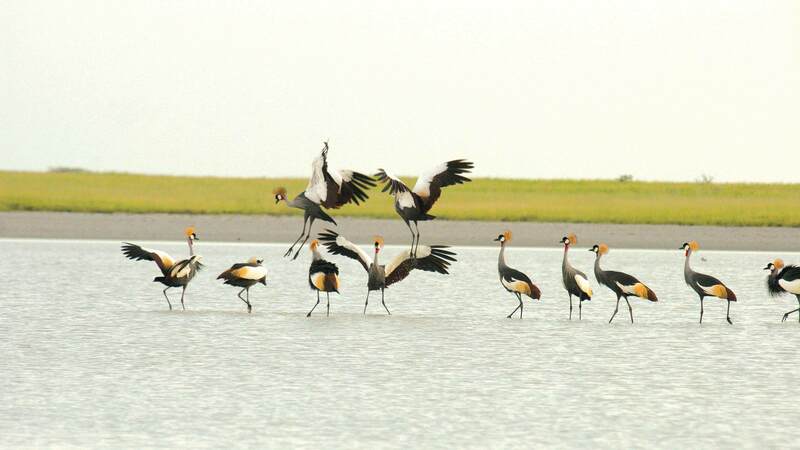 The area to the north of the pans can be visited all year round, and indeed, during January – March, is the only time to witness the second largest migration in Africa. If there is one place bird-watchers must definitely visit, it is Nata Lodge close to the well-known Nata Sanctuary in Botswana. Nata Lodge is right on the edge of the Makgadikgadi Salt Pans – the largest salt pans in the world and the remains of Africa’s largest inland sea. The Nata River forms a delta which feeds Sanctuary’s Sua Pan. This is the breeding ground for a huge numbers of water birds such as flamingos and pelicans in their thousands, transforming the shore line into a pink haze blending into the western sky. Nata Lodge is surrounded by many trees and these are home to many birds of different species. Nata Lodge offers 22 luxury thatched chalets built on stilts and set in rustic African style, with bathroom en-suite including indoor bath and outdoor shower and boats air-conditioning. 10 custom designed Meru tents set on wooden decks with en suite bathroom and outdoor showers. 10 luxury safari tents are built on raised wooden platforms which are nestled under the lodge’s many Marula trees. These unique tents feature en suite bathrooms and all amenities. The lodge’s camp site is able to accommodate 150 pax and the ablution areas are stylish with semi open showers offering hot and cold water. The camp site has central electrical power banks for those requiring electricity. Nata offers a 50 – seater indoor restaurant with an open air patio. Continental and English breakfast with buffets served over busy periods. Lunches consist of a patio/terrace menu with some of the old favorites and some new ones. Dinner menu’s vary between a la carte and traditional African braais on busy occasions. The shady tree canopy surrounding the lodge is a hive of activity, with a bird feeding area and active water feature providing the bird watcher with the opportunity of viewing a variety of species from the comfort of either the pool deck, open bar or restaurant. The Helmeted Guineafowl, Crested Francolin, Yellow Hornbill, Pied and Arrowmarked Babblers, Glossy Starling, Meyers Parrot and Paradise Whydah are just some of the species you will encounter during your stay at the lodge. Quiet, comfortable and a good stopover for an early drive into Makgadikgadi Pans.